Why choose Reddistores Self Storage secure storage solution? 17 Jul Why choose Reddistores Self Storage secure storage solution? 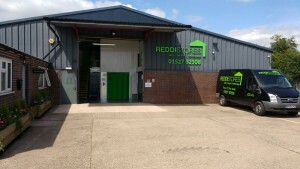 If you are looking for Self Storage in Redditch or in the West Midlands, why not consider Reddistores? Reddistores self storage is a purpose built, heated self storage facility for commercial storage and domestic storage. We have clients around the West Midlands from Redditch, Alvechurch, Birmingham, Bromsgrove, and the surrounding areas. Whether you’re moving, carrying out alterations or renovations, or just clearing valuable space, we have the storage space for you. With our site fully CCTV covered, and your own access code, lock and key and each indoor storage unit individually alarmed – you know you’re valuables are safely stored and you feel safe when you visit. Storage Facilities – With a range of storage solutions on offer we welcome any new customers to come and visit our storage facilities. Self Storage – With a variety of self storage space options available, you will only rent the amount of space you need for as long as you need it. Secure Site – We make sure that our site is secure at all times for the protection of you and your belongings. No Small Spaces – Our parking and loading areas have enough room to turn an articulated lorry and to load two vans at the same time.